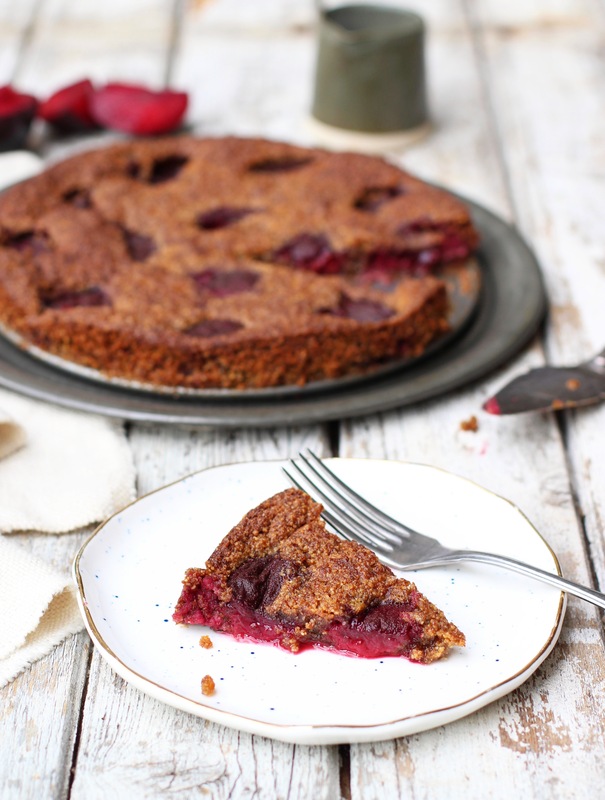 This is my take on Marian Burros’s cult classic plum torte from The New York Times. The original recipe is a classic for a reason, it’s absolute heaven and I couldn’t resist putting my nutritious twist on it. I’ve tweaked it quite a bit but I really love this one just as much. 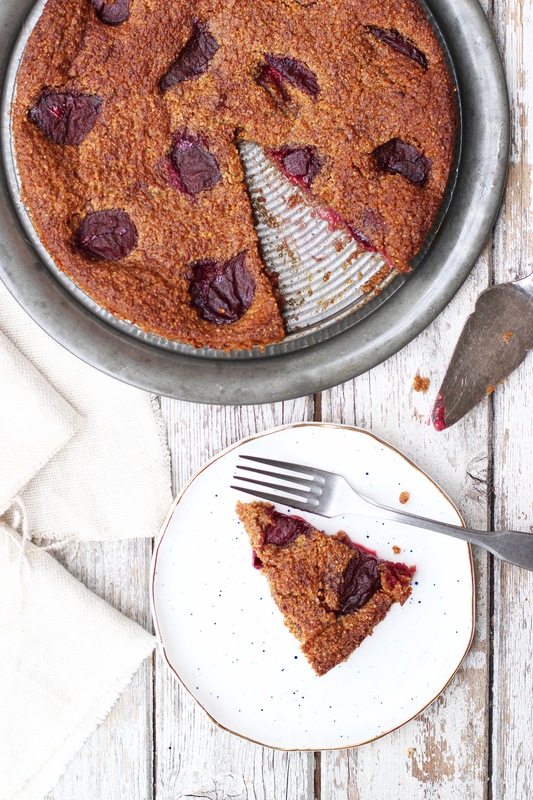 There’s no better way to eat plums, seriously. In a small bowl, whisk together the ground flax and water and set it aside. Using an electric whisk, cream together the softened coconut oil and coconut sugar. I recommend sieving the coconut sugar as it tends to clump. Add in the vanilla essence, ground almonds and baking powder and whisk until combined. Whisk the flax mixture again, when it is the consistency of raw egg, add it to the rest of the batter and mix well. Spread the mixture into a greased 8 inch spring form pan. Quarter the plums and press them into the mixture. Sprinkle the cinnamon on top. Bake for approx. 35 minutes until the top is golden and the edges are coming away from the tin. Leave to cool for about 15 minutes before releasing the sides from the springform pan. Serve warm.